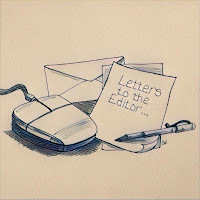 Shoreline Area News: Letter to the Editor: Keep Shoreline Affordable! Vote No on Prop 1! Letter to the Editor: Keep Shoreline Affordable! Vote No on Prop 1! As the mother of 2 small children, a walker of big dogs, and a distance runner to boot, arguing against sidewalks is not a natural position for me. Because in fact, I love sidewalks. Yet, I am very much against Proposition 1. This measure funds a small amount of very expensive net new sidewalk with an increase in sales taxes. It will make Shoreline's sales tax the highest in the already high landscape of King County, bringing us to a whopping 10.2%. Higher than Seattle! This is not a number for Shoreline to be proud of. We then use those fund to pay interest for years to come on what were already overpriced sidewalks to begin with. There is lots to be said about sales tax being regressive, about them hurting our local businesses by encouraging people to make purchases, particularly big ones, in neighboring communities. It has been said, there is never a good time to increase taxes. That is true! But could we pick a worse one? Our community (and certainly my household) is reeling from the increased cost of living in our area. We all know that property taxes and car tabs have taken big jumps in the last couple years. In this landscape, I want to preserve the socio-economic diversity in our neighborhood schools that we all love. I want to ebb the tide of increasing homelessness in our streets. We do not do that by increasing local sales tax to pay high prices on a small increase in sidewalks. Voting No on Prop 1 doesn't mean No Sidewalks. We will still get new sidewalks as we have been through development and existing budget. It does tell the City Council that they need to figure out a way to do this with fiscal and social responsibility in mind. Tax the developers who are cutting our trees and packing in "houses." Well said, Sarah. I completely agree with your position. I am a homeowner who became disabled over 2 years ago. I worked in the legal field & made good money. Now I make 60% of what I made & due to the property tax increase, I'm barely making it. I cannot afford anymore tax increases. Our government is pushing hard working people out of their homes and neighborhoods.